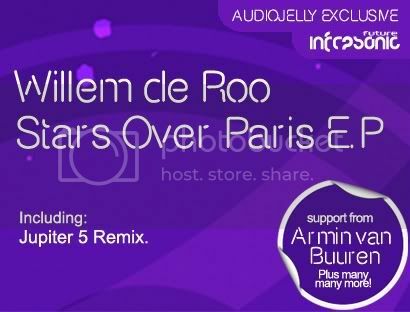 Willem de Roo - Stars Over Paris E.P [Infrasonic Future] | OUT NOW! 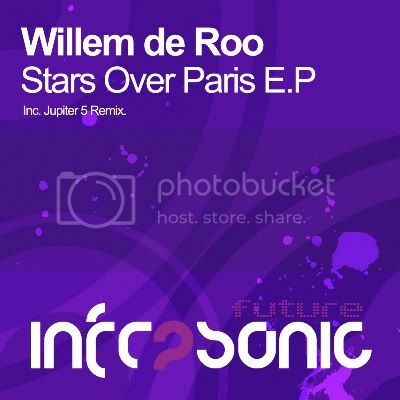 Thread: Willem de Roo - Stars Over Paris E.P [Infrasonic Future] | OUT NOW! Dutch producer Willem de Roo is next in line to make his debut on our Infrasonic Future imprint. Sticking with our policy of bringing only the most exciting young stars to the fray, Willem is another we feel confident can go all the way to the top. Stars Over Paris, a track that instantly struck a chord with us at Infrasonic HQ with its lush strings and summer style heads the package. Soft and delicate in places, yet packing enough punch to really work a dancefloor, this is some way to mark your debut. Massive! The impressive Zero Hour, and Jupiter 5 remix complete the package! Running Man pres. Fifth Dimension - Open Your Eyes E.P [Infrasonic Future] | OUT NOW! Accendo - Regulus E.P [Infrasonic Future] Out Now! Dmitri Federov - Falling of stars :::Infrasonic::: Out now.